Pipe-mounted UL 778 pumping unit with integrated intelligent controls for space-saving installation and superior energy performance. Saves up to 75% in energy over comparable traditional constant speed or variable frequency operated pump installations. Remote services through internet to enhance reliability and sustain optimal performance over life of pumps. 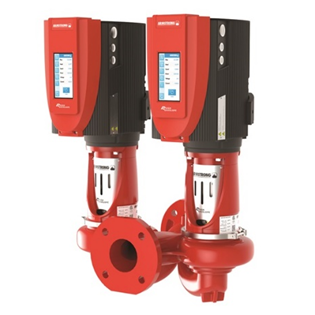 On-board Intelligent Variable Speed controls with Sensorless control. Split-coupling design and outside balanced or inside single spring mechanical seal. 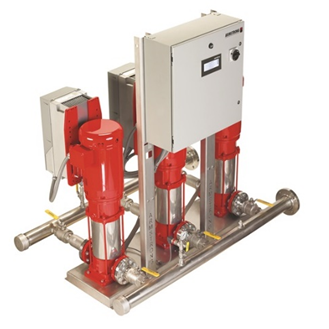 Pipe-mounted 2-pump unit with integrated intelligent controls for space-saving installation, superior energy performance, and parallel-pumping or full redundancy operation. Saves up to 75% in energy over comparable traditional constant speed or variable frequency operated pump installations. Remote services through internet to enhance reliability and sustain optimal performance over life of pumps. Split-coupling design for easy and quick seal change. The Armstrong Design Envelope 6800 Boosters are fully assembled, programmed, integrated and factory-tested turn-key booster systems. They are equipped with vertical multistage pumps and come in arrangements of 2 to 5 pumps. The integrated controls allow for superior performance and energy efficiency across broad operating envelopes. Most suitable for applications where energy consumption and low maintenance are critical, installation space comes at a premium, and occupant comfort is a high priority. 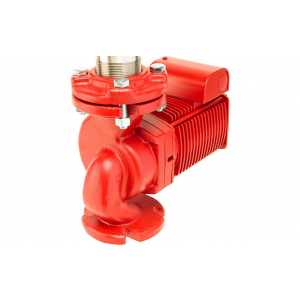 Close-coupled vertical in-line pump features an economical inside-type, single spring mechanical seal, serviced by removing the rotating assembly while the pump casing remains in the line. 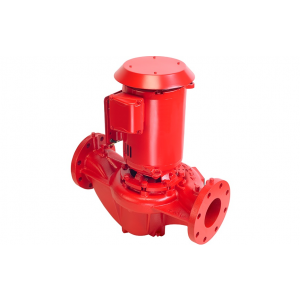 The dynamically balanced impeller assures smooth, vibration-free operation and the radially split volute features equal suction and discharge flange sizes. This design also provides separate tapped openings for gauge, flush and drain connections. Units are available in bronze fitted, all bronze, all iron, and ductile iron construction. A comprehensive range of single-stage, end suction, radially-split centrifugal pumps designed for a wide variety of applications. 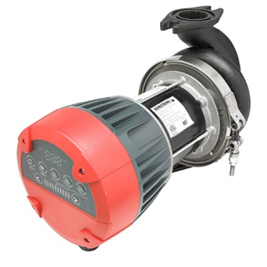 Features self-venting casing to prevent air binding, heavy duty bearings that are sealed and lubricated for life, back pull-out bearing frame for easy removal, and self-lubricating mechanical seal to prevent liquid seepage. Available in bronze fitted, all bronze and all iron. 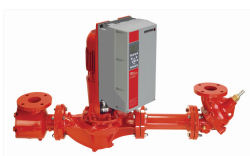 The IVS sensorless pump is designed to meet the need for energy-efficient pumping systems in today's buildings. Traditional pumping systems incorporating fixed-speed pumps waste energy through crude throttling valve flow control. The IVS Sensorless automatically adjusts operating speed to match the system load at all times. 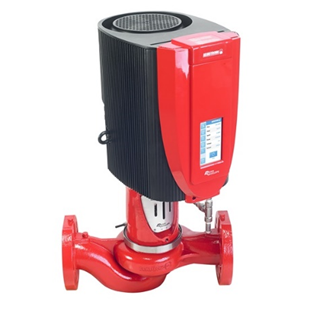 The Armstrong Compass H is an energy-efficient variable speed wet-rotor circulator. Designed to replace existing fixed speed circulators, with popular flange-to-flange dimensions, Compass H can be considered a universal replacement for all circulators in its capacity range. Eight operation modes with “Auto” algorithm, four Sensorless modes and three fixed speed modes. 50 Hz and 60 Hz designs. 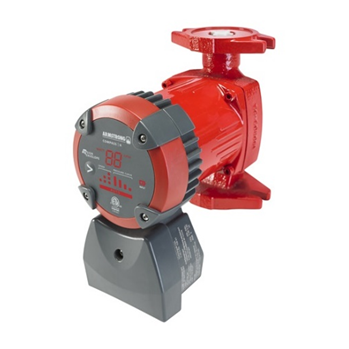 The Armstrong Compass R is an energy-efficient variable speed dry-rotor circulator. Designed to replace existing fixed speed circulators, with popular flange-to-flange dimensions, Compass R can be considered a universal replacement for all circulators in its capacity range. Eight operation modes with “Auto” algorithm, four Sensorless modes and three fixed speed modes. 50 Hz and 60 Hz designs. Heating or cooling systems, such as hot water, geothermal, radiant panel and snow melting in large residential and light commercial installations.